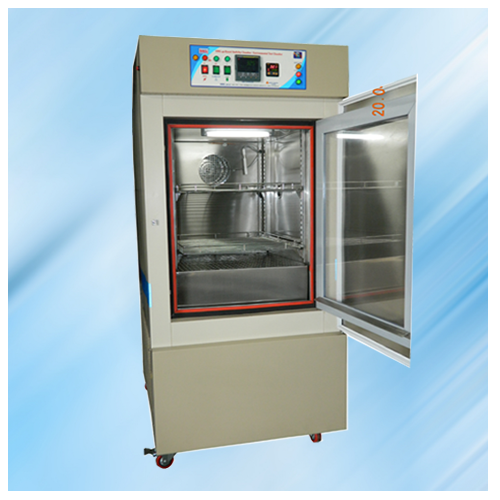 Equipment developed as a result of intensive R & D and confirming to International Standards, suitable for most of environmental conditions, calibration, validation & Humidity Control Oven for above ambient conditions. 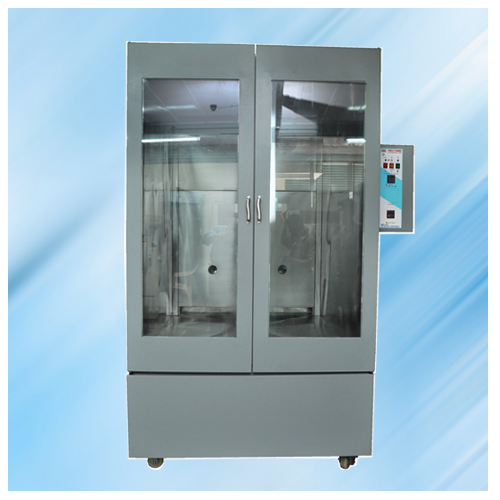 Double walled, inner S.S.304 / 316* grade & outer S. Steel or GI dully Epoxy Powder coat / finish, gap filled with Glass wool insulation (PUF in situ foam*) Inner full length viewing glass / plexi door or viewing window on outer metallic door provided. (To select while ordering) Leak proof positive locking arrangement for door. Chamber illuminated with bulb. 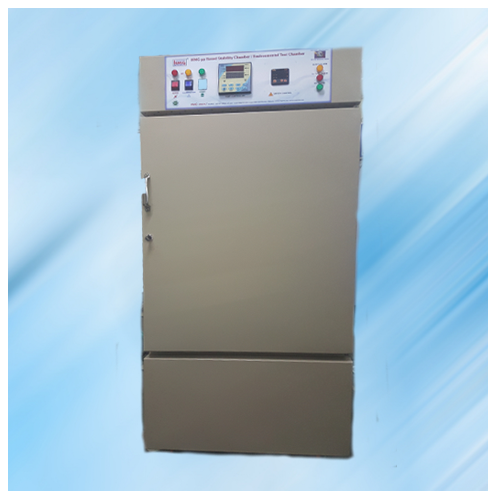 By Hermetically sealed brand new ISI marked compressor coupled with air cooled condensing unit fitted with Motor, fan blade, Electrical Accessories etc.. Mounted on bottom of unit on heavy base frame. 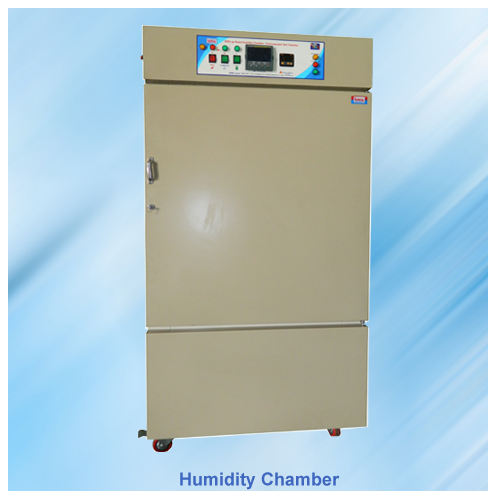 Humidity Created with Steam & Injection into working chamber. 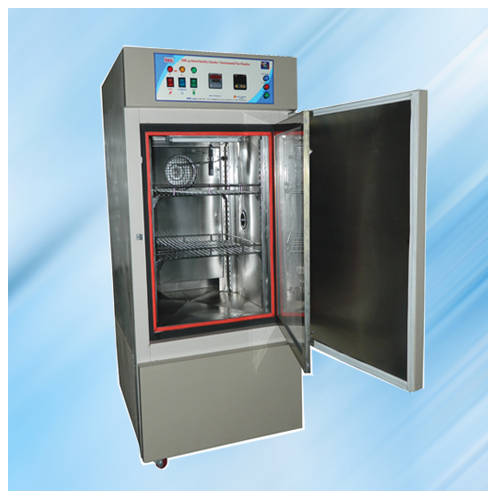 By long lasting S. Steel Tubular Heater with fins. Model Working Size Cap. Cft. Ltrs. 3) Complete S. Steel Unit / GMP Models. 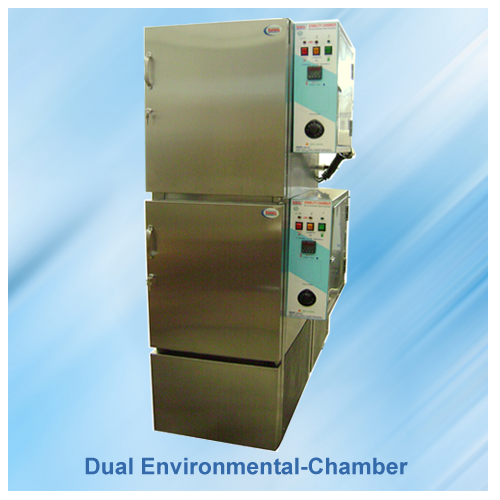 Ask Details for Programmable / Cyclic Chamber / Stability Chamber. ( * Optional ) Due to continues R & D model / specifications may change. Picture shown with optional accessories.